Specializing in root canal therapy. Our mission is to provide our patients with a very comfortable environment using the latest technology, with utmost care and compassion for the well being of our patients. We are committed to providing you with a calm environment and excellent treatment. If you would like to schedule an appointment, feel free to contact us today at (760) 436-1222. Dr. Cheikh's approach was professional, kind, and gentle. I am now pain free, and very confident in her gifted abilities. Her staff is an extension of her qualities. Many thanks to Dr. Cheikh and her staff. Dr. Cheikh is a top expert in her field. She has conducted years of research in dentistry as well as taught in one of the nations top universities. Her work is thorough and detailed. 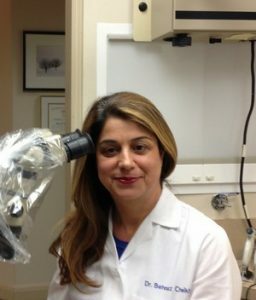 Dr. Cheikh is sensitive to her patients' needs and is able to communicate medical terminology in a non-threatening manner, putting her patients at ease.